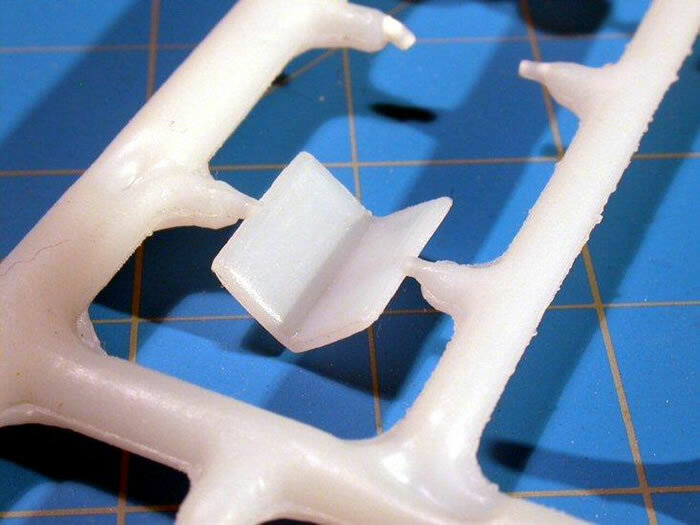 Injection moulded kit; impressive surface textures and details; accurate shapes. 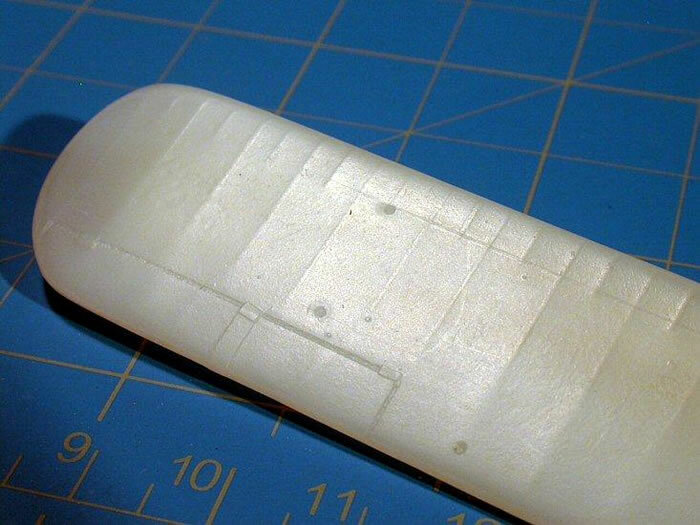 A solid, surprisingly delicate and scale-like basis for making a Junkers-flap Auster. 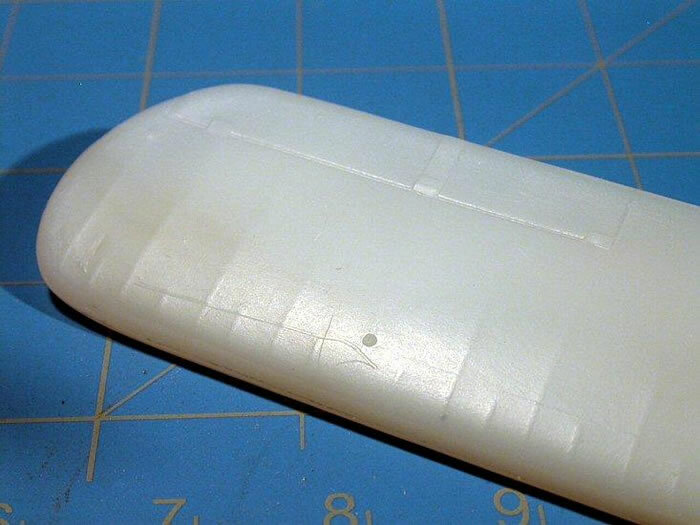 Here we have a test shot for the new Kiwi Resins Auster kit. The first thing I wondered was, “Why an Auster?”. Especially the post-war AOP 6/7. The answer was forthcoming as I examined the kit parts provided and researched the history of the aircraft. We have to examine the competition on the market in Austers. There is the old Airfix. Anyone who has seen or built the Airfix must realize this kit is in need of replacement. It is not up to current standards. I do not intend this to reflect badly on Airfix. One must realize, though, how long this kit has been around. Then there are the variants by AZ Model. These are much more contemporary in execution, but center around the AOP Mk III variant and the different-engined Mk V. They also display certain odd interpretations of line. The area in front of the windshield and the bottom of the windshield are a bit off, the fuselage is a bit thin, the provided interior framework is somewhat oversize, and the built kit doesn’t quite capture the appearance of the Auster. It’s a pretty good kit, but it does leave room for improvement even at that. No competition if you want a 6/7 at any rate. 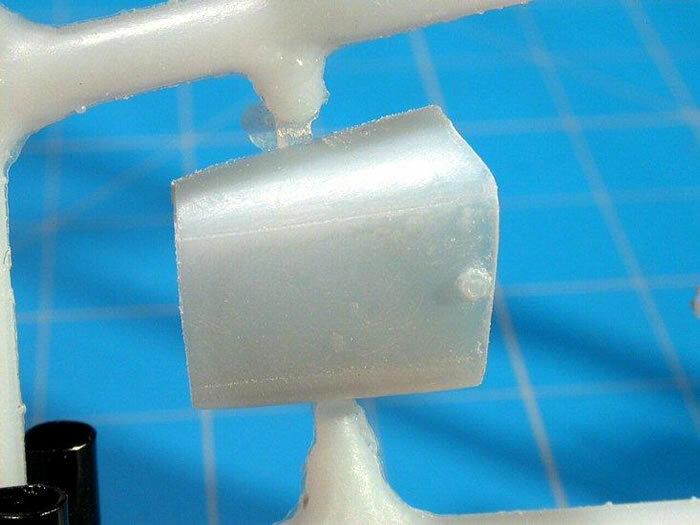 So, here comes Kiwi Resins with their first injection molded offering. How does it stack up? What makes it a desirable alternative to the others? There is evidence that the molds could use that final bit of tweaking to get the final finesse of the moldings, but all in all, a good representation of what we can expect to find. Essentially, the kit will be the basics for your completion to taste of an Auster. 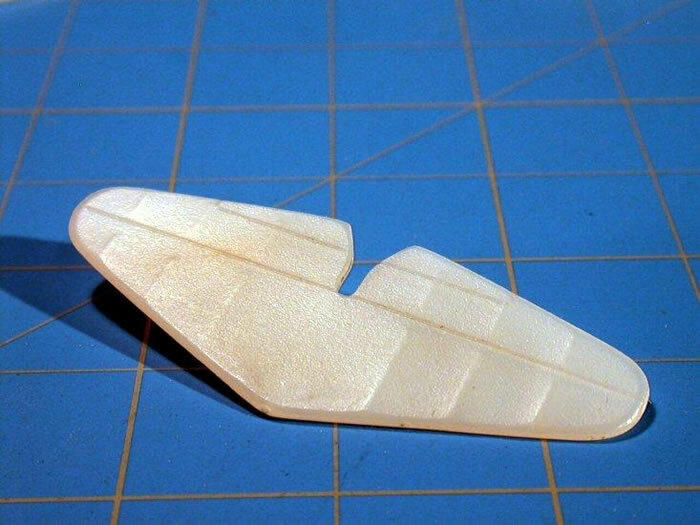 In the test shot, there is no interior framework at all, no wing struts (I understand these will be included…), and very few interior details. Actually, I got a floor, an instrument panel and cover, and a bench seat. The instrument panel looks very crisp. You get to make control sticks, pedals, throttle quadrant… and just about anything that suits your fancy. These things would have been beyond the molding process to make scale-like anyhow. 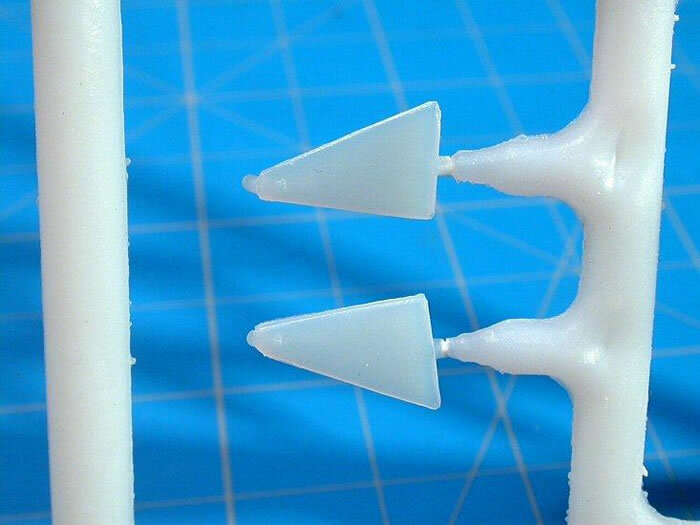 The impressive aspect of this kit is the surface detail and the shape and detail of the smaller parts. 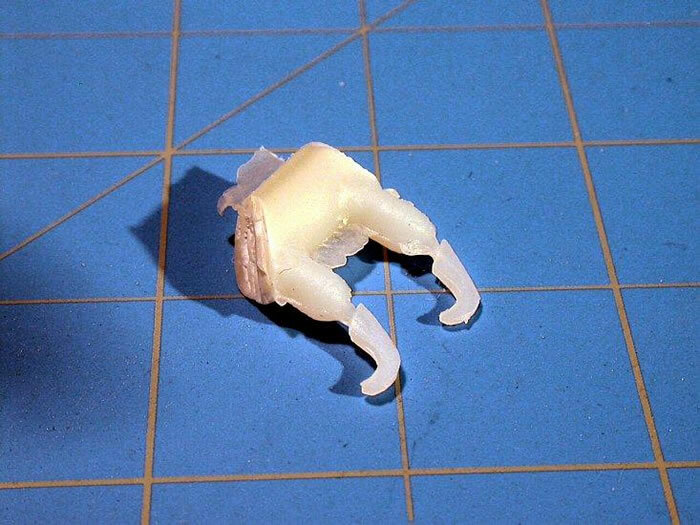 All I can say is that someone knocked themselves out to make the parts look as realistic as possible considering this is a short-run kit. The representation of fabric on the fuselage, tail surfaces, and especially the wing is extremely good. It is delicate, understated, and very realistic. The fabric areas display rib detail so delicate it took me quite a few tries to photograph it so as to show just how nice it is. 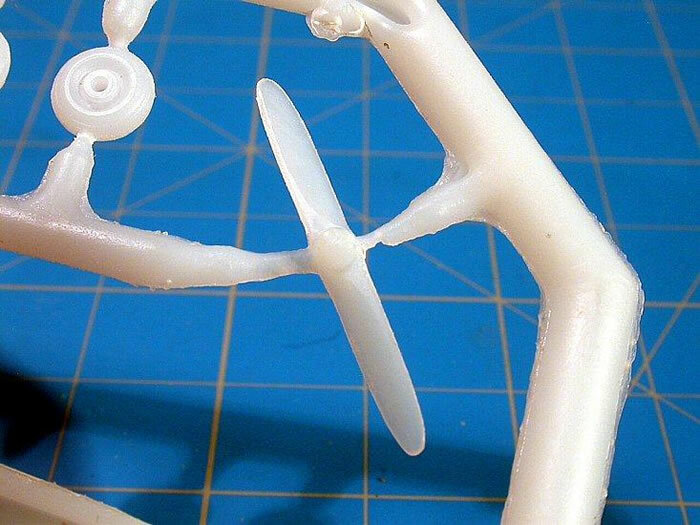 The landing gear legs are thin and delicate, and have “pips” on the backsides to indicate where the additional suspension struts should locate. The cowling front has the air intake molded open, and there are one port side and two starboard side cowl panels provided. 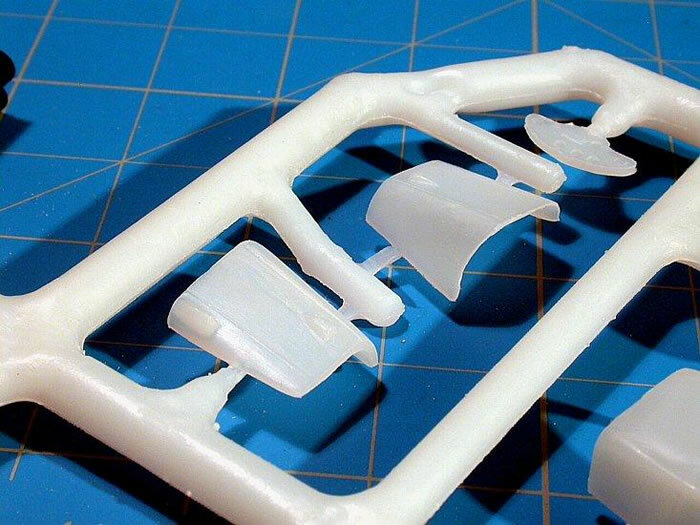 The two starboard panels allow for different oil cooler configurations, and a separate tiny oil cooler part is provided on the sprue. 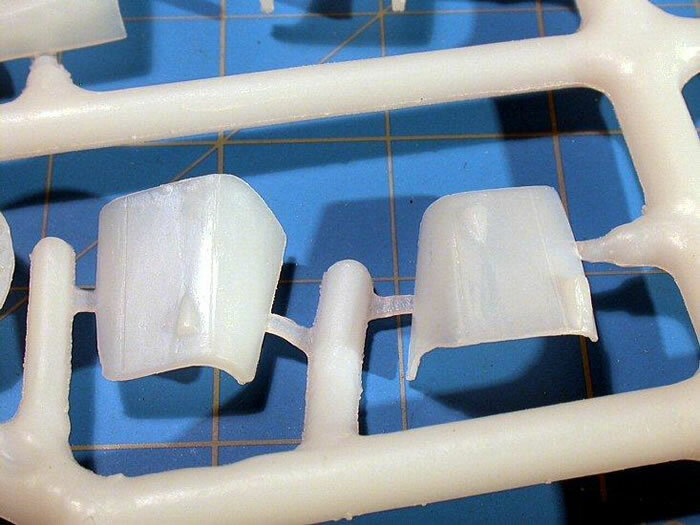 The molding of the cowl panels is delicate and thin, and coupled with the open air intake absolutely begs for the builder to improvise something of an engine or at least the front cylinder to see in there. There is a plate provided for the bottom of the cowl inside which has the locating points for the exhaust pipes indicated. The kit provides a collector pipe which would fit across the underside of these for certain airframes. You get to make the four stacks. The wheels display the rounded center caps (you get to fill the hubcap side of the center hole which goes clear through the wheel). The tires are round! Can’t say that about all short-runs… The back side of the hub has delicate detail and the tires are suitably pudgy. The hangars for the Junkers flaps are accurate and delicate. 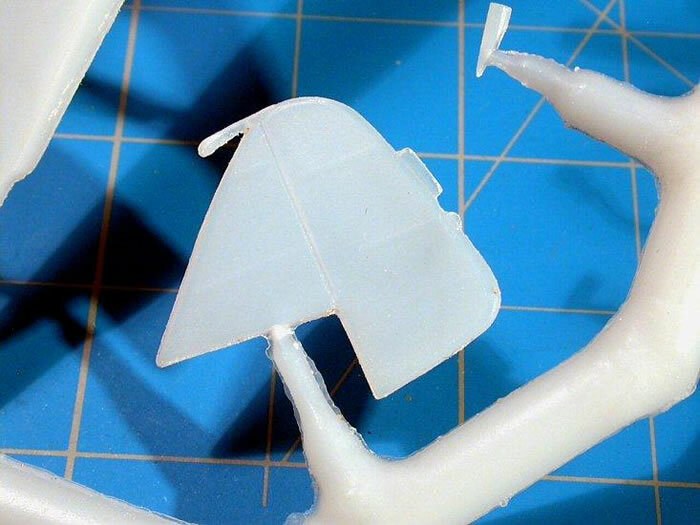 The canopies (two provided) are by Falcon, they display the door tops and the various frames in delicate fashion, and the areas where the wing roots locate are molded nicely flat with locations indicated for the corresponding pegs on the wing roots. I believe I am going to drill all parts and locate the wings with solid cross pieces going from wing to wing through the canopy part. The shape of the vac canopy is excellent. The molding of the tailwheel is one place where I think the line of ambition was crossed. On the real Auster, this is a delicate looking assembly. The details were reduced to 72^nd scale here, but you can only go so far with this. 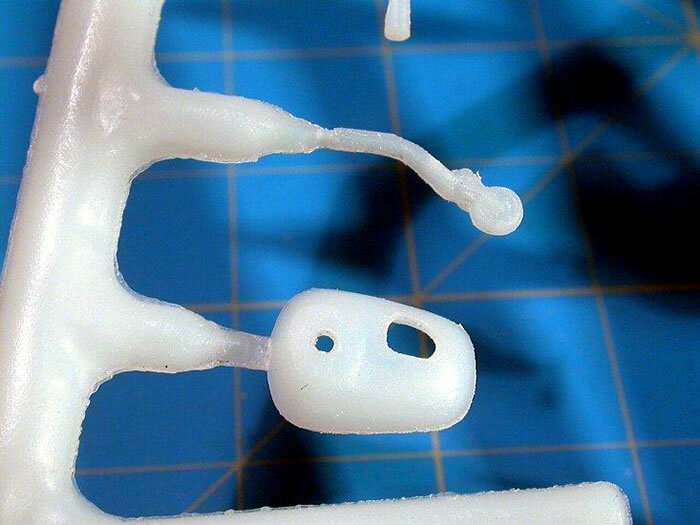 What you get is pretty good, but I’m going to look into replacing some of this with wire for better scale appearance. I could go on about the various separate parts, but I believe you get the idea. On close examination, this is a remarkable effort! Well, I think Kiwi has made a kit that will fill a niche very nicely. Not too crazy about Auster 6/7s? With a little extra effort, a Tugmaster or Terrier might be made from this. You will get in this kit a solid, surprisingly delicate and scale-like basis for making a Junkers-flap Auster. It is not a direct replacement for the Airfix. 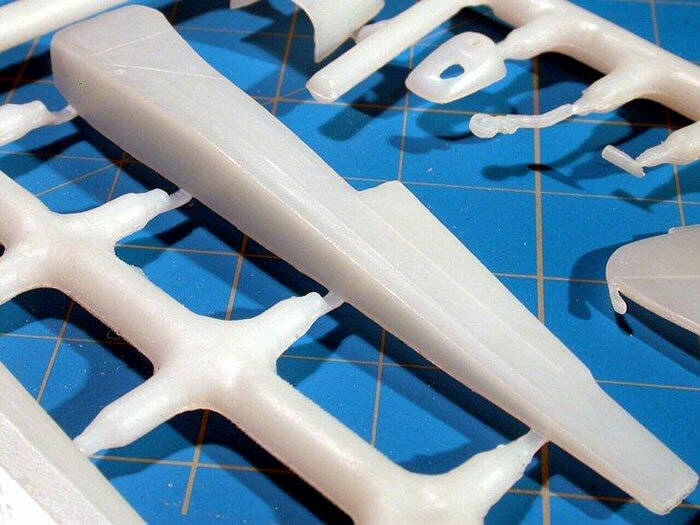 It is a kit for the modeler who enjoys the construction and detailing process, and is willing to shoot for a very nice little model plane on their own imagination and initiative… Sort of like scale aircraft modeling as it once was, except without the strain of dealing with poor shapes and surfaces. Do I like this kit? Hmmm… Now let me say this; it took me from, “What’s an Auster?” to “I can’t wait to see what I can do with this kit…” in about two days. 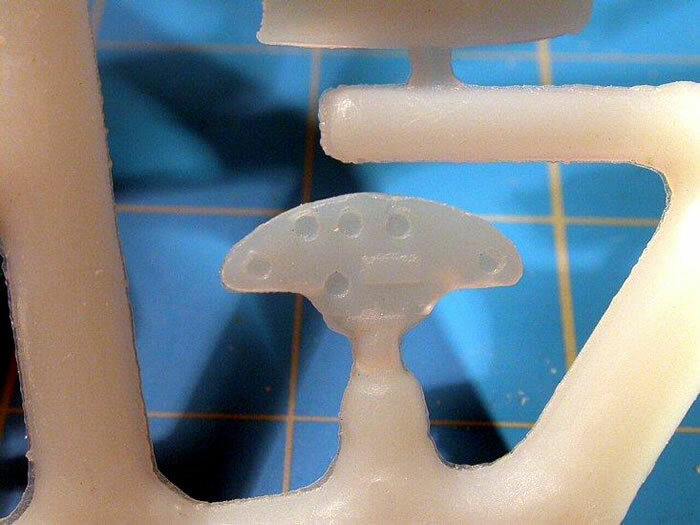 Thanks to Dave Lochead, Kiwi Resins, for the test-shot review sample.